There are occasions when I feel a bit (as Scarf Lady would say) ‘knit stuck’. In case you do not know who Scarf Lady is, this is she. My future (or maybe present) self. I just need that top knot. Because I do not have a top knot, nor a full and warm head of hair, I needed a new hat. I decided that the best way to get over my current knit stuck predicament was to not overthink, over-plan or overcomplicate my knitting with my own ideas, but to take a back seat with the design process and just enjoy the expertise of one of the most consistently brilliant designers I know of. It was time to knit another Woolly Wormhead hat. I’d actually not long finished Lamitra and it was still fresh in my mind just how well thought out and constructed that knit was, and I simply wanted back in to that happy knitting place. So, I somehow started with choosing the yarns and the idea to make my little boy a hat. I don’t know why I started with the yarn, but I ended up choosing some handspun and a sizeable remnant of grey yarn from a past project. I knit a swatch to begin with, and using the gauge obtained from that sample square I picked a Woolly Wormhead pattern using the Ravelry pattern database search tools with the gauge as the guiding factor. Misura it was. Of the sizes given, one seemed about right for Darwin’s head circumference, but I was a little worried about the length, given that he has that short, little squat and round head that three-year olds are blessed with. 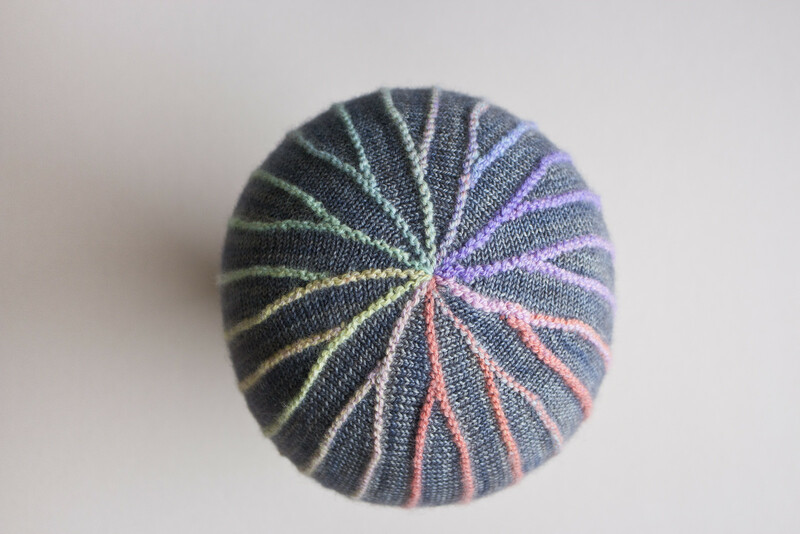 I asked in the Woolly Wormhead support forums if there was a way to shorten the hat whilst keeping all of the design elements, and there was. The forums are a perfect pattern support system, and with the advice duly taken I was ready and confident to begin. For the toddler hat I started with a 55st cast on and kept the garter stitch brim to the depth given in the pattern. I had thought about shortening it to match the shorter proportions of the hat, but decided that the extra warmth and stability would be beneficial as well as making the most of the colour changes in the handspun. 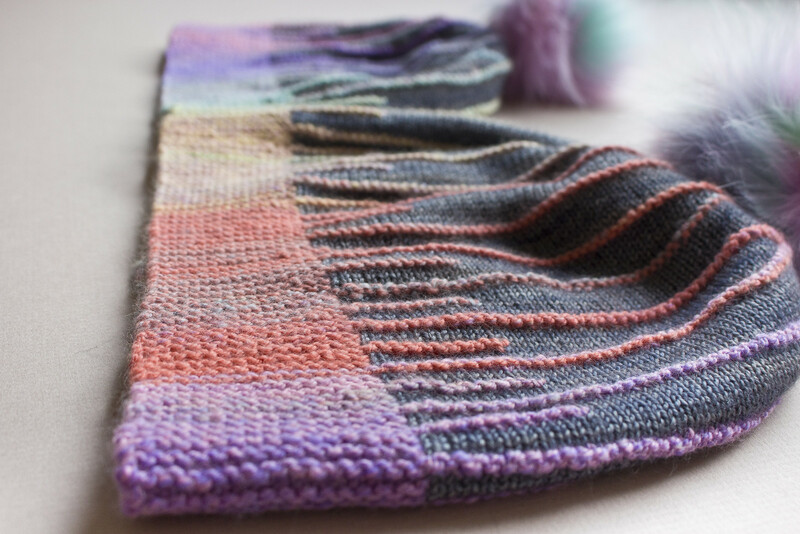 As with the Lamitra hat, I found that once I had knit the first section it was easy to carry on knitting without having to refer back to the pattern, as the sideways knit hat is knitted in repeating wedge-shaped segments. These clever sections flow continuously as you knit due to the clever use of short rows. 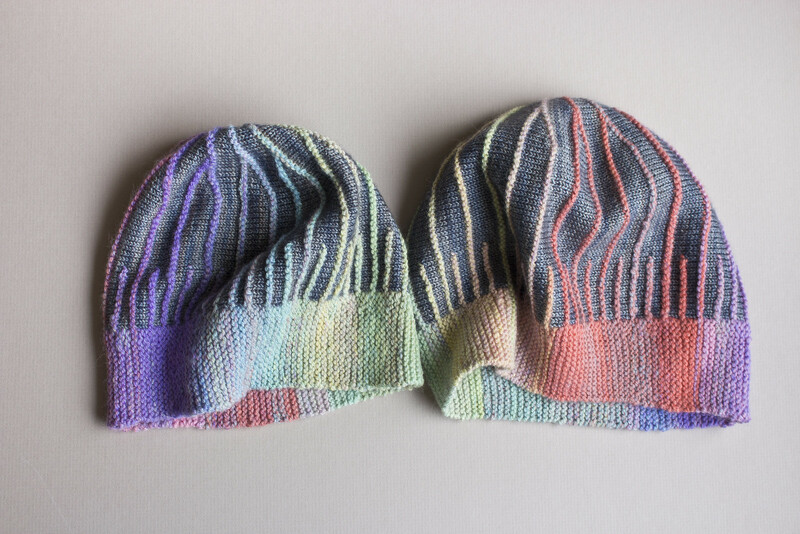 You just keep knitting these until the hat fits around the head (and it’s so very simple to keep trying the knitting on to see if you need another segment or two, that there’s absolutely no guesswork needed for fit if your row gauge isn’t quite right). The knitting was an absolute joy, and the project flew from the needles. The combination of the clever construction and using yarn I’d spun myself made for such a cheery project that as soon as I cast off I wished I’d cast on a bigger size and made a hat for myself. I eyed my leftover yarn. Could there possibly be enough to make myself a matching hat? This time I cast on 67sts and rocketed through an adult-sized copy in two evenings. 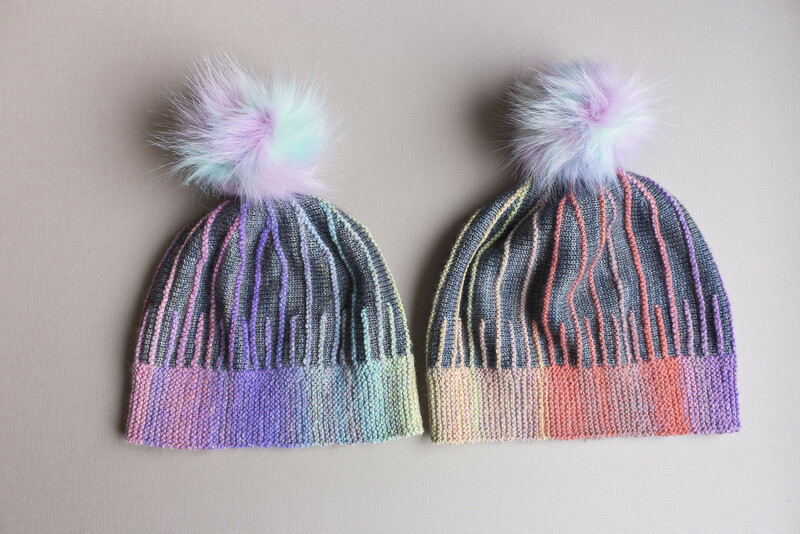 Matching adult and toddler rainbow hats? Yes. 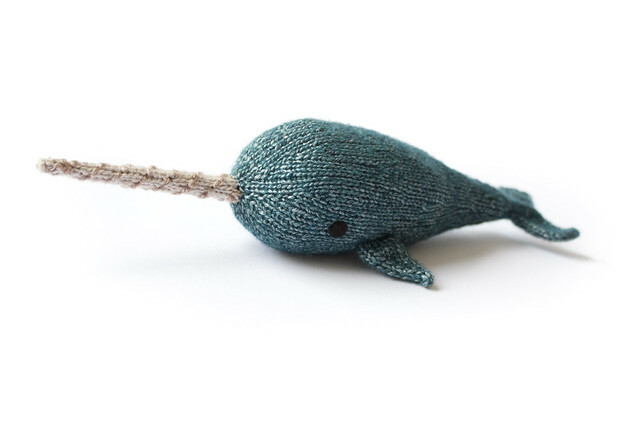 This is so very much what I knit for. 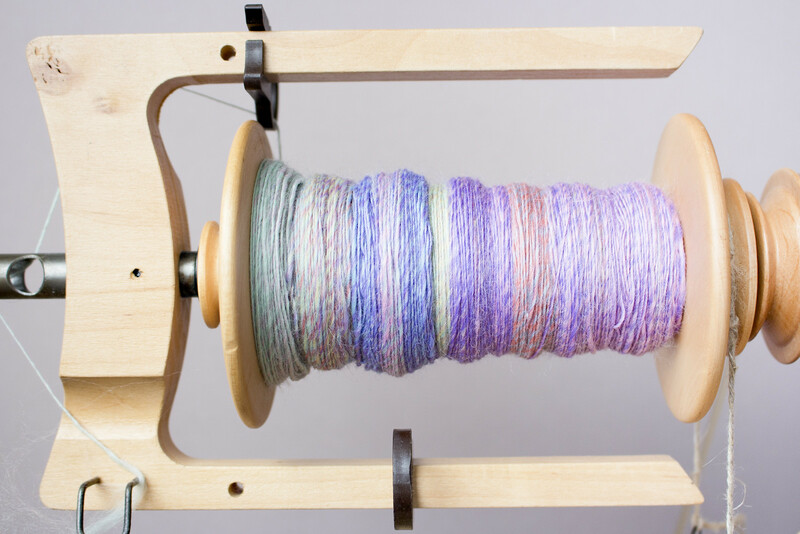 I spun this yarn by picking out all of the individual colours from the blended top and spinning them back in as close to a colour progression as I could. There’s some marling due to the inexact separation of the fibres, but I think the extra work gave a nice yarn. Being my first chain plied yarn it was a bit inconsistent, but such a comfortable yarn when knit up that the extra lumpy bumpiness of the garter stitch only serves to give greater contrast to the sleek grey-blue Fyberspates Vivacious yarn. Technically, these two yarns aren’t particularly well paired, but a happy accident in slightly mis-matched weights means that I love them together. 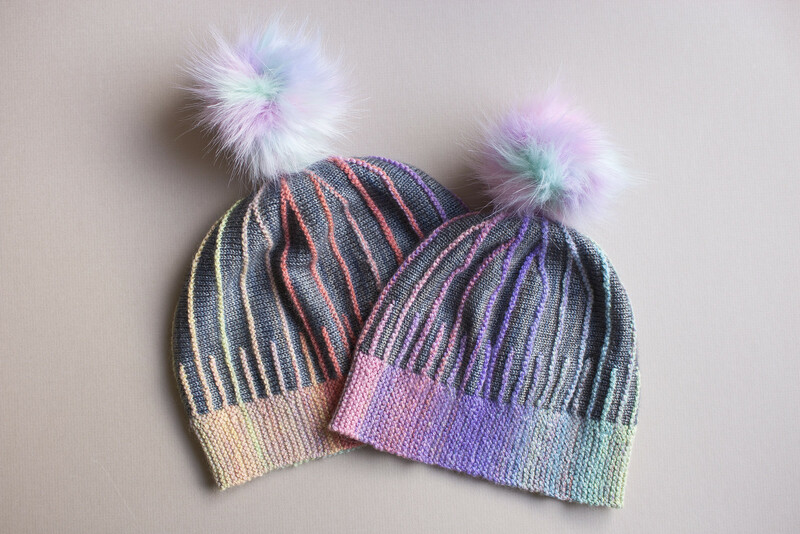 When I bought the fibre I had a hat (or hats) in mind for the eventual spin, as I also purchased two ready-made fluffy pompoms to add to any finished project(s). 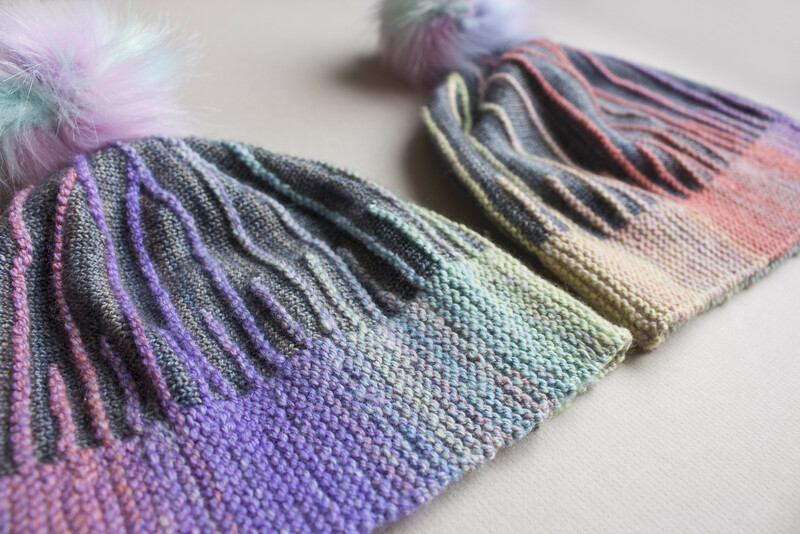 It almost felt wrong to cover up the spectrum of colours that adorn the clever crown shaping at the top of the two hats, but my toddler has very definite ideas about what makes a good winter hat, and that’s a bobble hat… and a bobble hat simply isn’t a bobble hat without a giant bobble. I did get a picture of that divine crown shaping and play of colour before the pompom was attached, however, because it’s a joy to behold. I’m soon to embark on a family visit and can be an anxious traveller, so a pattern with a repeatable set of clear instructions is exactly the ticket to take my mind off of any worries and occupy my hands, so I will have a look through my Woolly Wormhead patterns to see what my next hat pattern might be. Hat season is well and truly here. What a pair of absolutely gorgeous hats. I love everything about the , the yarn, the colours and that crown!!!!!! Just beautiful!